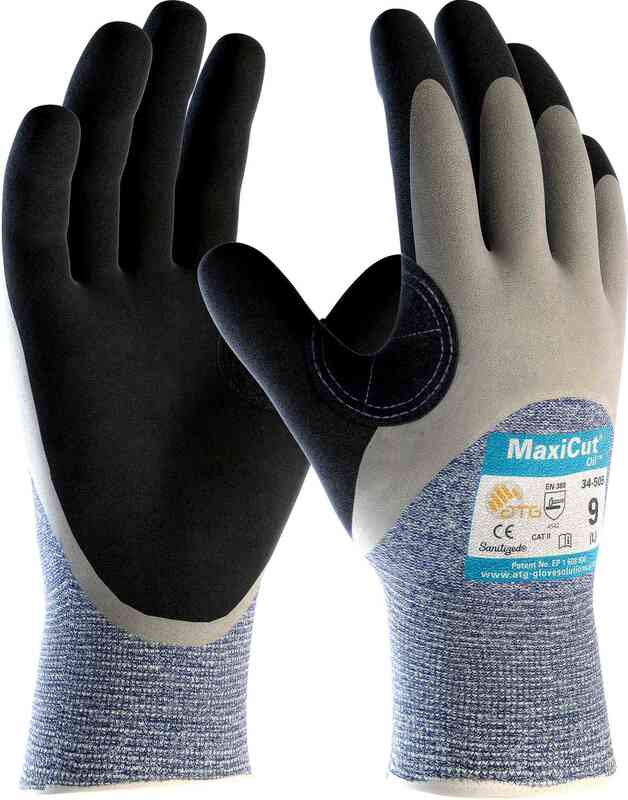 ATG MaxiCut Oil Grip 34-505 gloves are designed and developed as a liquid repellent cut-resistant glove. Gloves combines cut protection with oil grip, comfort, flexibility and dexterity. Reinforcement between the thumb and forefinger, extends glove life in an inherently weak area and improves cut resistance. Innovative fibres ingredients to develop our own unique high performance yarns and fibres that offer highest cut protection. Latest knitting technology to produce smooth and rounded fingertips, improving fingertip sensitivity. Optimized grip with micro-cup finish, allows for a controlled grip. Increased the resistance to oils via our LiquiTech technology platform. Skin friendly, eliminates all traces of process chemicals and odours. 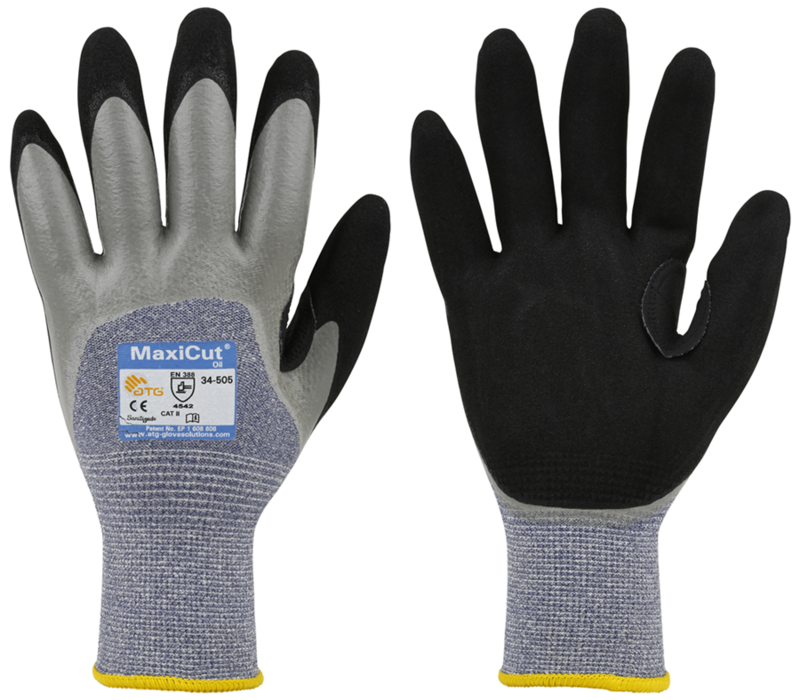 ATG MaxiCut Oil Grip 34-505 Gloves conforms to: Cut level 5 Class - EN388 4.5.4.2 hand protection standards. Coating 3/4 Double dipped to keep hands protected from oils and hydrocarbons. Cut level 5 glove for wet & oily environments. Innovative fibres - offer cut protection whilst maintaining high levels of comfort. Reinforcement - improves cut resistance and extends glove life. 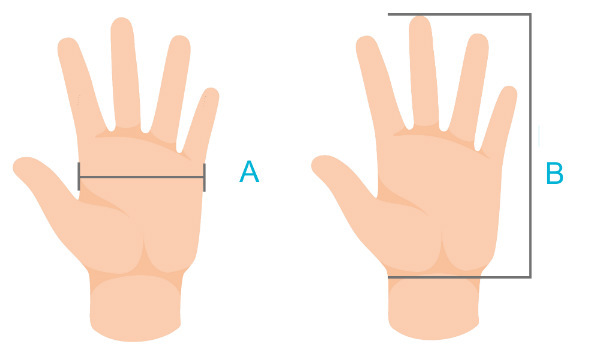 Form, fit and feel - reducing hand fatigue and increasing comfort. Latest knitting technology - improving fingertip sensitivity. Consistent liner penetration - only the soft liner resting against the skin. Liquid Repelling - resistance to oils via our LiquiTech technology.